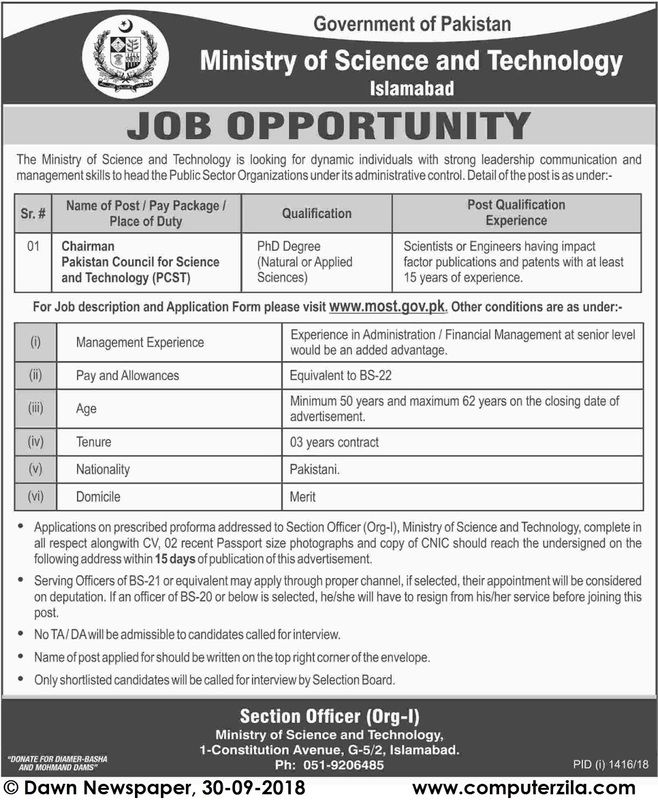 Job Opportunity at Ministry Of Science and Technology (MOST) in Islamabad Cities. Ministry Of Science and Technology is a Government Organization which requires employees for Administrative, and Engineering Jobs in cities Islamabad. The Ministry of Science and Technology is looking for dynamic individuals with strong leadership communication and management skills to head the Public Sector Organizations under its administrative control.